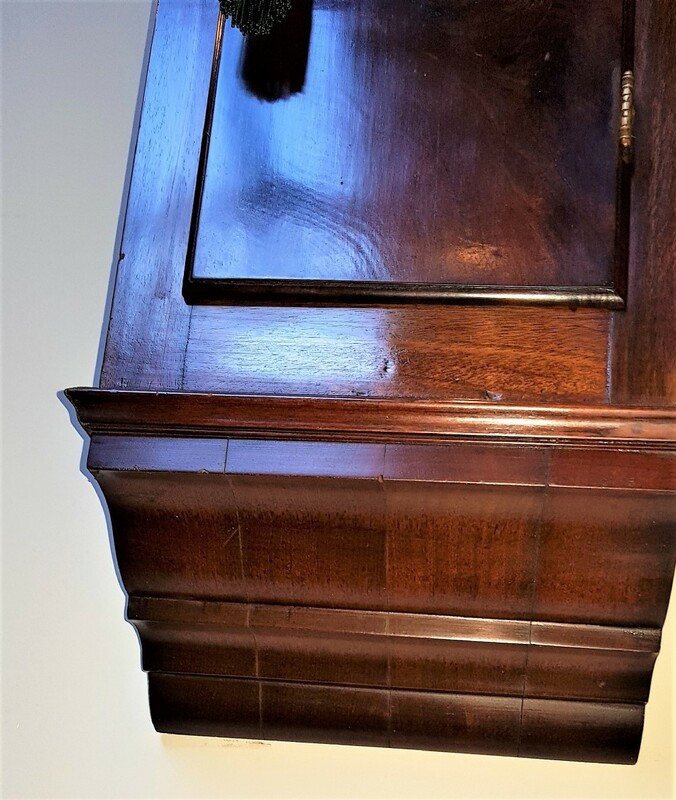 19th Cent Norwich Style Weight Driven Drop Dial Clock. 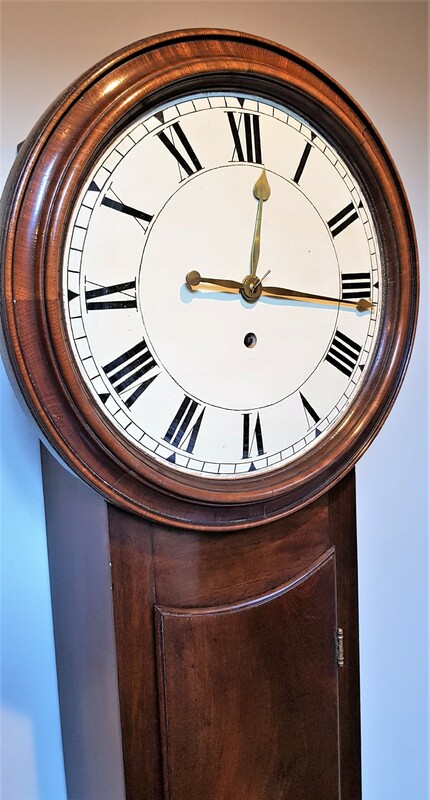 In mahogany case and 12" oak dial with Roman numerals and extremely fine brass hands. The minute hand counterbalanced. Good quality flame Mahogany trunk door over chisel foot. The whole case being very well restored. 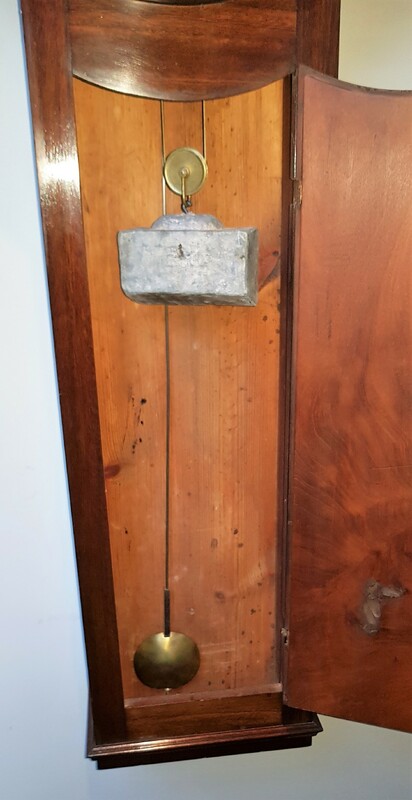 The 19th cent Norwich style weight driven drop dial clock. has been added to your saved items.